On Thursday night, Alabama inmate Ronald Bert Smith, Jr. was executed for a 1994 murder. Smith had previously brought a lawsuit against the state of Alabama, which was dismissed in November, claiming that the state’s three-drug execution process constituted cruel and unusual punishment. His execution took 34 minutes, and for 13 of them, he was coughing and moving, according to AL. 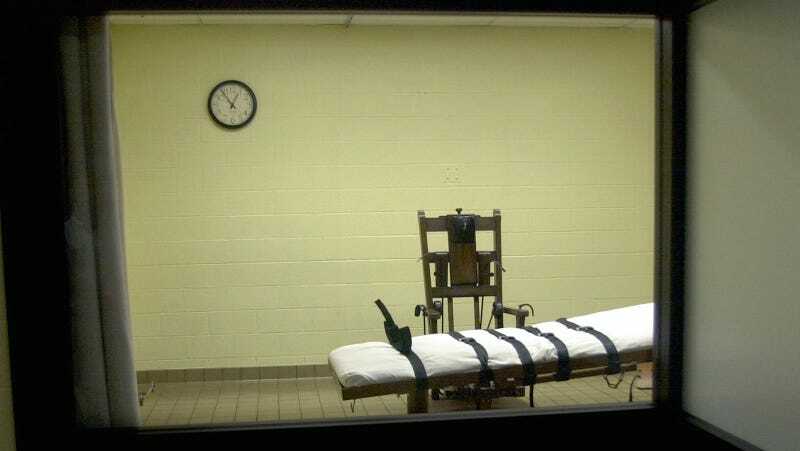 Alabama is the only state that allows a judge to override the jury’s recommendation and assign the death penalty. Smith’s case was used to contest Alabama’s law in the Supreme Court, but it was denied—four justices, Ginsburg, Breyer, Sotomayor, and Kagan, were willing to grant a stay of execution, but they needed five votes.